Basic Rock Outfit started from the vision singer/songwriter Jeremy Thomas had of Elvis´s jumpsuit laying on a messy hotel bed. A Basic Rock Outfit is glamorous, tough and can back up the talk and swagger. Well, life is not always formed by silly visions and, the fact of the matter is Basic Rock Outfit is just 4 guys that have put their whole heart, life, and soul into the music they create and play. They love to play music every night of their life and do so with their heavy schedule of 6 shows a week. The band stays continuously busy playing festivals, state fairs, bike fests, concert events, and charity events as well as club dates through out Florida. 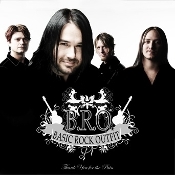 In February of 2007, Basic Rock Outfit finished their Debut CD on Tightnotes Inc. Records. The CD entitled "Thank You for the Pain" is a collection of rock songs that go beyond the surface of just hooks and guitar riffs. These songs have real meaning and passion behind them and set this release apart from any other recording coming out this year. Yes, they are basic rock songs with formulas, tricks, hooks and giggles but ultimately, they tell a story. The story they tell is of love, passion, loss, and re-building. It is a journey through life that we all take as we walk the road of our mortal lives. It is great CDs like "Thank You for the Pain" that really can make life a little sweeter! Thank You for the Pain was produced by Sylvia Massy-Shivy (Tool, Dishwalla, and Johnny Cash) and Jim Wood (Dishwalla) at Radiostar Studios in Weed, California. At the start of the project the words from Massy-Shivy were, "Let´s go for something retro and really classic,” and that´s what Basic Rock Outfit got out of their debut CD, "Thank You for the Pain". The sound and brilliance created in the CD was accomplished using all vintage equipment and the engineering hands of Jim Wood, the co-founder of the rock band Dishwalla. Wood played keyboards on a large part of the CD and, accompanied with a string arrangement on the fourth track of the CD, "Alabama," as well. "Every song has a life of its own," says Jeremy Thomas, the main songwriter in the band. “I had many co-writers on this CD. It makes it really special to give so many different people in my life credit for helping make this project a reality. That goes for everyone - from management, to our fans, to all the people that worked on the production!" Basic Rock Outfit’s live performances are filled with driving guitars, huge hooks, addictive music and, real songs about life that will slap you in the face with reality. The soaring vocals from Jeremy Thomas have already proven him to be one of today’s most powerful rock voices, as mentioned many times in editorial show and recorded critical reviews. 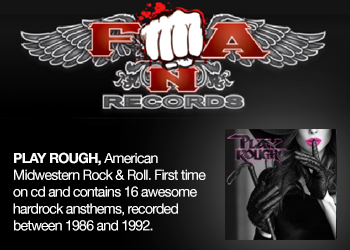 Basic Rock Outfit’s multi-platinum producer, Sylvia Massy-Shivy (Red Hot Chili Peppers, Prince, Smashing Pumpkins, Tool) stated, “Jeremy Thomas’ voice is the best I have recorded at my studio,” while in the production process for the debut CD. 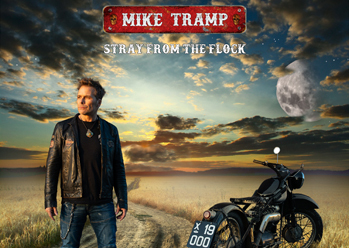 A full on marketing campaign, beginning in May ´07 with the release of "Thank You for the Pain", means that the sky is the limit for a rock band of this caliber. A coast to coast concert tour is scheduled in all major markets and, in-studio radio promotions will include live, unplugged performances. 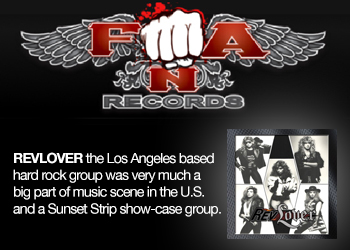 Touring for the CD will begin in July ´07 and, the rest will be rock and roll history in the making!! Join the group at Basic Rock Outfit MySpace Group and make sure and support these guys as they hit your town!! !